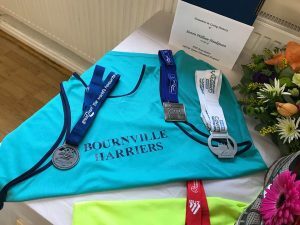 It is with great sadness that we announce that former Bournville Harrier, Steve Hankinson, passed away on 26th December 2018 following a brave battle with PSP (Progressive Supranuclear Palsy). Before Steve’s illness he was a regular runner, having started his running journey on the BvH Beginners Course back in 2012. 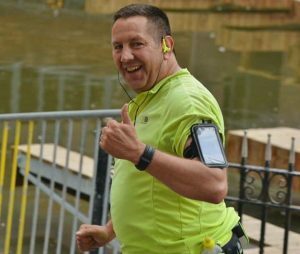 He continued to run and was a regular at parkrun until last year; amongst the small number of BvHers in the parkrun 250 club. Although Steve had visited other parkruns, he was very loyal to Cannon Hill, having completed more parkruns there than any other member of the club. Steve was very well-liked by all; a kind, caring gentleman with a great sense of humour which he retained throughout his illness. 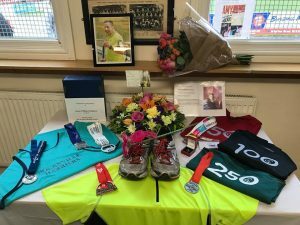 He loved to run and to welcome new runners and will be very much missed by those who knew him at club and in our local running community. Our sincere condolences are extended to his wife, Sarah, and his family. To share your condolences and memories of Steve please visit his online memorial page; Sarah would love to have the messages and photos added to a book.